Starting today itch.io now lets you apply a minimum price to individual files. 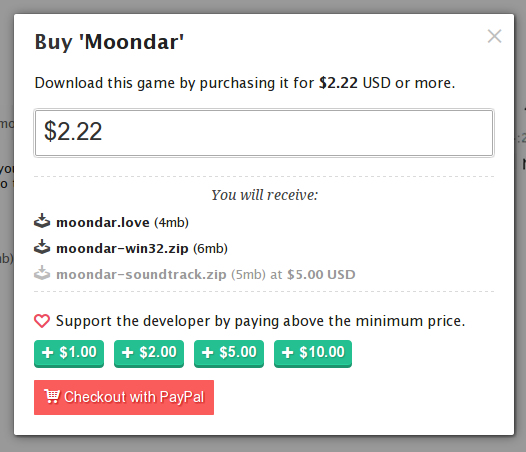 For example you could offer your game at 5 dollars, and then if someone pays over 7 dollars they also get the game soundtrack! Another possibility is having your game be free, but any extra downloads have a minimum price.